What does it take to get you out of bed and get your workout on in the morning? Is it just an alarm clock? Is it the fact you have the opportunity to hit the “Snooze Bar”? Do you have an issue with getting motivated for your afternoon workout? Well, here it is; MOTIVATIONAL MONDAY! I will try to give you at least a piece of motivation researched from the net and another from a conquest, challenge, race or accomplishment from someone local from the weekend. Every Monday, I wake up with a different motivational level. 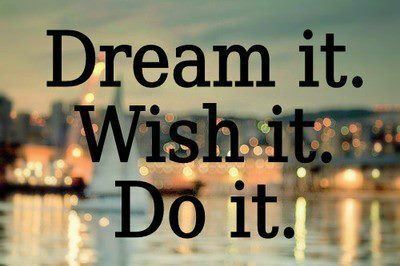 I wish I can tell you that as a coach I wake up and am ready to rock it every day. Unfortunately, that just isn’t the truth. Sometimes, it depends on the weekend’s workouts whether I rocked them and I was so exhausted I just couldn’t get up, or they were not so spectacular and I let my psyche get the best of me. It is definitely, very rare that I am not ready to rock early in the morning, but when I am not feeling it, I watch this video. It is pretty popular on YouTube, but it get’s me moving every time. I hope it does the same for you. Personally, this was an extremely motivating weekend. I have been training with National Champion Runner, Triathlete and Coach, Jon Noland from Tribal Multisport for about 8 months. Within the “Tribe” we had major victories this weekend. 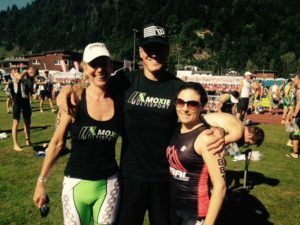 Jessica Koelsch, Eric Patnode and Megan Murray (pictured in order below), all competed in the Ironman 70.3 World Championships in Zell Am See-Kaprun, Austria. In order to even compete in this event, athletes have to qualify by finishing in the top of their division in another Ironman 70.3 race. I am in awe of the athletic talent, perseverance and shear physical endurance of these athletes. I am not even mentioning that each one of them are just great people in general with huge hearts. What is motivating about them? All three have families and day jobs just like the other 99% of athletes across the globe. The other Tribal Multisport Coach and Pro Triathlete Nick Chase, completed Challenge Penticon in Canada and completely rocked it by finishing the 70.3 in 4:23:14 (Which is ridiculously fast!). I am always thrilled to watch Nick race. 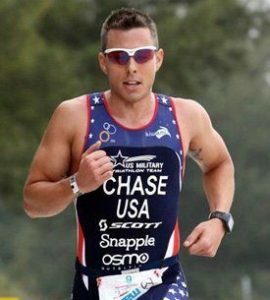 He is a dynamic and motivating coach and very fast triathlete. I hope this provides some value to each and every one of you to strive to be the best you can be every day. Have a great week!